SD40 types?? Really?? This train has two that are interesting to CP fans. 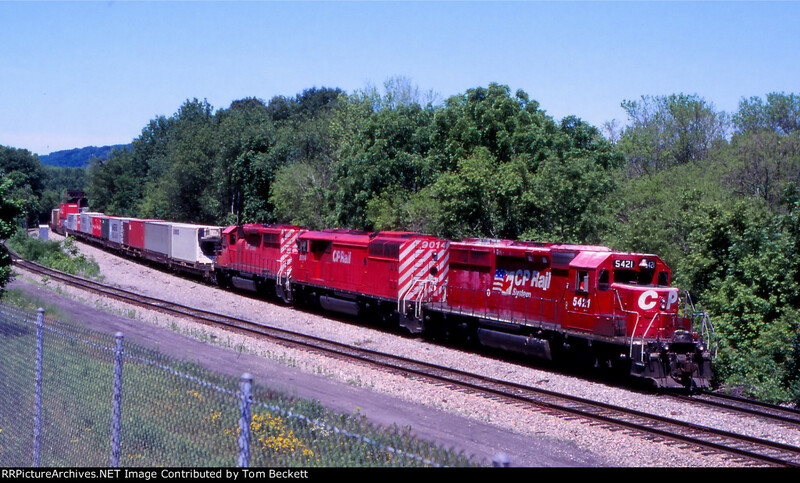 The middle unit is the obvious one, an SD40-2F "red barn". The lead unit is one of the six acquired from the KCS, repainted and renumbered in the 5400s. The trailing unit?? Just run of the mill 40-2. The train is coming off the Susquehanna River bridge and about to cross under Conklin Av and enter East Binghamton yard.